Give your contact details in the form and we will arrange a call with representative. Representative provide you a list of documents to be prepared. We check credit history of the parents and students. The loan is for the complete education cost including tuition fees, living expenses, books and periodicals and some times traveling expenses as well. WHO IS ELIGIBLE TO APPLY FOR AN INCRED STUDENT LOAN? Citizens of India/Indian passport holders currently enrolled or planning to enroll in an eligible course can apply. The co-signer must also be an Indian national or passport holder. Non Resident Indians (NRIs) with an Indian passport or with an Overseas Citizens of India (OCI) or Persons of Indian Origin (PIO) cards are also eligible to apply for a student loan at InCred. Certain additional conditions may be required to be met for such applicants and co-signers on a case-specific basis. WHICH COURSES DO YOU FUND? InCred provides education loans for programs at the undergraduate (bachelor), graduate (master) and doctoral levels. Certifications and diplomas are also eligible. In terms of fields or streams of study or majors or subject areas, InCred has loan options available for all areas. InCred will process loans only for those courses/institutes which have required approvals, authorizations or accreditation from relevant bodies. AM I ELIGIBLE TO APPLY FOR A LOAN IF I DON’T HAVE ADMISSION TO A COURSE YET? Yes! You can apply as soon as you receive your standardized test score. If you are not going to take a standardized test, or want to apply prior to that for some reason, then you can start your loan application when you are in the process of short-listing or applying to your universities/colleges. You can apply at any point during your admissions process. You can apply to us as soon as you have received your standardized test score or when you have started your application process for admissions. You can apply later as well after receiving admission. Past academic Record, upto the most recent degree. If applicable, documents related to the collateral security will also be required. Once you have completely filled and submitted the loan application form and all supporting documents, it will generally take approx 5 working days for us to process your application in full. WILL I BE REQUIRED TO PROVIDE ADDITIONAL DOCUMENTS OR INFORMATION AT ANY STAGE AFTER APPLYING? Though we endeavour to make the application process as streamlined and seamless as possible, depending on the circumstances of your case, you may be required to provide additional information after your initial application and submission of documents. WHY DO I HAVE TO GIVE CONSENT TO VERIFICATIONS AS A PART OF THE LOAN APPLICATION? As a part of the loan process, InCred will verify certain information including, but not limited to, the student and co-borrower’s addresses, employment, etc. Hence, we require all our applicants to give consent for us to physically verify all such information. InCred provides various options for you or your co-borrower to repay the loan that are customized to your individual case. All loan repayments are executed by electronically deducting the co-borrower’s bank account on a monthly basis. InCred allows a total of 5-12 years (max 15 yrs) to repay your education loan. For graduate school or Masters’ loans, the loan repayment in equated monthly instalments (EMI) commence at the end of a maximum period of 36 months from the initial loan disbursement date. The first 36 months is the “in-school” period including a “grace” period during which the student is expected to complete studies and find employment. During the first 36 months max, either the interest component of the loan or a part thereof needs to be repaid by the co-borrowers on a monthly basis. Please do know that the paying a higher amount during the in-school period may qualify you for a better rate. For courses at the undergraduate level, the equated monthly installments generally commence from the date of first disbursement and continue for the entirety of the repayment cycle. ARE THE INTEREST RATES FIXED OR FLOATING? The interest rates at InCred are floating or variable interest rates. This means that your interest rates may fluctuate upwards or downwards during the tenure of your loan depending on factors such as market conditions and regulatory measures. WHAT IS A COLLATERAL SECURITY AND WHY IS IT REQUIRED? A collateral security or simply a collateral or security is a guarantee for the loan. Typically, collateral is a property or a fixed deposit which is mortgaged with the lender until the loan is repaid completely. If you and your co-borrowers fail to repay the loan on time, the lender will have recourse to liquidating the security to recover the loan funds. InCred provides loans that may or may not require collateral. If you have any further questions check out InCred FAQ Page, or feel free to Contact Us. 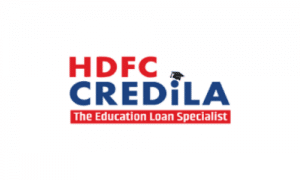 Why do we recommend HDFC Credila ?